It is now almost one week since the abduction of Ms. Ria Sookdeo and while police investigators have been working diligently on the matter, there has been no meaningful breakthrough. I urge law enforcement officers to redouble their efforts to resolve this serious crime. I feel the pain and anguish of the family, including their two children, even more intensely following my visit with them on Tuesday. The Sookdeos are my constituents of Oropouche East. I also share similar deep concerns with relatives of other kidnap victims. I call for the installation of CCTV cameras inside and outside of all schools in the country and for the implementation of other effective measures to prevent similar crimes. The kidnapping of a loved one is a heinous crime, one that has befallen several law-abiding citizens. I urge the police authorities to assign more human and technical resources to bringing back Ms. Sookdeo safely to her family and to avert further criminal abductions. 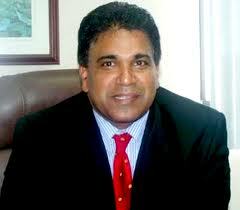 Regrettably, Trinidad and Tobago has returned to the frightening insecurity of the pre-2010 period. Member of Parliament for Oropouche East.